You want to secure your home, your workplace, and your personal property. It is important to choose the right solution for each. 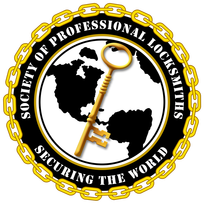 The expert Locksmith at Central Safe & Lock can guide you in selecting and installing the right locks for any situation. Using electronic keycards which are controlled by a central database, you can permit authorized personnel to access a restricted area, and deactivate their access instantly in case of termination or security changes. Central Safe & Lock can assist you in selecting and installing the right solution for your needs.